You must make reservations at least 5 minutes in advance of the time at The Marsh Tavern @ Equinox. Free valet or self parking. Weekends and holiday periods in the Marsh Tavern Pub. Full-Service through our extensive Banquet and Catering Department. 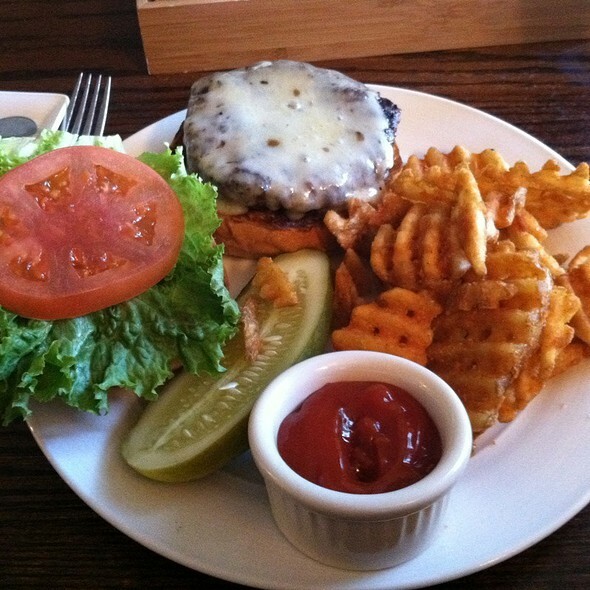 The Marsh Tavern offers New England and eclectic cuisine, with Local Vermont influences in a casual historical tavern environment. For reservations in our classic, destination steak house, the Chop House, please call our hotel concierge at (802)362-4700. Please visit our website for information on additional dining at the Equinox. 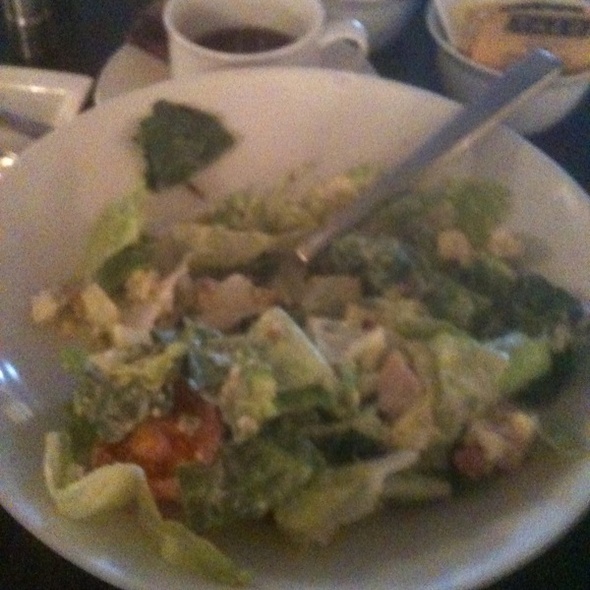 Ordered Caesar Salad w/Shrimp. They must have run out of Romaine??? MAYBE a handful of greens...shrimp where tasty but TINY??? Don't mind the $21 cost if it is a proper salad but I promise you any fast food chain gives a better portion?? Tasted great...homemade dressing but 'WHERE IS THE ROMAINE? Service was fine but VERY disppointed in that salad. Jeeze if you can't make a proper caesar I would give up. I have a country home locally so we are always looking for places to go...tooooo bad! All I can say is WOW! There were four of us ladies away on a girls weekend. Every detail from start to finish was perfect. The food, from appetizers, main course and dessert was so delicious. We had Kim as a server and she went above and beyond the entire night to accommodate anything we asked for. She even went as far to make our special drink request herself, in the bar. The night was definitely one we will remember and if we are in the area again we will definitely make sure to come again. We went for a nice dinner while on a fairly restrictive diet. Chris was our waiter and he went above and beyond to bend the menu to our needs coming back frequently to ensure we were ok. The food was amazing but the service was absolutely stellar! The food was poorly prepared and served by a staff of amateurs. I ordered a pork chop which was served with a butter knife , the broccoli was raw. The table next to us ordered macaroni with butter for their daughter and it came out with tomato sauce. The Equinox is a beautiful resort in a beautiful location with the worst management I’ve ever seen. A good restaurant is a place where the food and service makes you feel just a bit pampered where attention to detail is so important Marsh Tavern does not hit the mark. Pretty setting, wonderful cocktails, and delicious food. Crab cakes were paired with a corn salad which was a wonderful accompaniment and there was refreshing citrus in the kale salad. Ended the night with home made ice cream and espresso. Second visit proved that service timing issues weren't a fluke. I've had dinner twice in the past 6 weeks at the Marsh Tavern and I like the menu and the food is very good. However, there is a kitchen process or timing issue that results in the food taking too long to come out and sometimes cool. Appetizers, salads and drinks come out fairly quickly, but entrees take way too long. Worse, on my first visit one dinner in our party of 8 came out about 20 minutes after the others (pretty sure it was forgotten). The others at the table were almost done eating by the time the dinner arrived. The clearly inexperienced waitress should've immediately told us that the dinner would be free, but instead we had to ask when the bill arrived. The second visit had both dinners arrive together, but one was cool. The reheat took about 15 minutes, again resulting in one person being done eating when the other meal arrived. This time the waitress was good and apologized for how long it takes food to come out of the kitchen and commented "I wish I could go back there and cook sometimes!" There is much to like about the Marsh Tavern but we won't be back til we hear that they have gotten their kitchen timing improved. It was Valentine’s Day, very special. Every lady received a rose. Dinner delicious. Accommodated gluten free diet. We rush to get to the equinox in time to have dinner at the marsh Tavern. It is a nice beginning to a stay in Vermont. Probably ambience and the food is quite good. Love seeing the same wait staff there year after year. Rude host set a horrible tone for the dinner, whole experience was ruined from it. The Marsh tavern as well as the Equinox has recently been refurbished. While this works for most of the hotel the choices made for the Marsh Tavern, a pre-revolutionary War, pub and chop house are inexplicable. They could have gone with a Willimasburg colonial theme or something cluby and cozy. Instead they chose a zebra carpet that clashes with any logical thematic conception. The biggest change though is the extremely expensive prices on the menu. While you can still get a burger or grilled cheese (very yummy) most of the choices are at the very high end of price. A simple glass of wine is 16 and above with some as high as 24.00!! Also, there isn't a decent Chardonnay by the glass. Bottles are marked up to 3 to 4 times and at least two choices were 25.00 more than at the restaurant down the road. Children roam and yell throughout the pub. At these prices staff should be able to do something about that, (I understand the parents are really responsible, but a nudge in the right direction can't hurt). Our server was lovely and came to our rescue when the original waitress simply disappeared. We alwyas go to the Marsh when we first arrive as we don't want to drive again at the end of a long trip, but may have to rethink this. The server could not explain the dishes to me. i asked him about sauces and if they were spicy and he would give responses like everything is good hear. my husband only wanted an appetizer and he kept saying your not going to order an entree? multiple times.. very uncomfortable experience aside from that my lamb was dry and over cooked. my sons pasta tasted like boxed mac n cheese and it took 3 hours for those items to arrive. Excellent experience, great service and outstanding ingredients. Food came cold or not at all. The people next to us were very upset with their table and the air conditioning. We ordered Tatlor tots that didn’t come until I had already ordered the check. I felt badly that they were busy but that was targets experience for us. The one older hostess started us off on the wrong foot. It's Christmas day and her frown would've made the Grinch smile. The waitress made up for it with very good service. Food was pretty good even though we went there expecting Duck but it was replaced with a nicely prepared pheasant. The overall experience felt like something you'd get from a corporation owning a property that has lost its soul. And the good was mediocre. The service was what as good as they were trained for. I am not normally a negative reviewer and honestly usually do not bother. But The equinox... not even close to what it was, should be or could be. And my wife and I had a nice time, but we always do. We've stayed in the Equinox Hotel in the past and have eaten a number of times in the Marsh Tavern; we typically stay over Christmas, so not many restaurants are open. It has always had perfectly fine food, but this year it seems to have slipped a notch. The service, which has always been grudging, seemed especially slow this year -- in part the wait staff, but also the speed of the kitchen, which didn't seem to be able to produce a bowl of soup in less than 30 minutes despite a 75% empty dining room. We'll continue to eat here when we must, but I certainly wouldn't recommend anyone go out of their way to do so! great dinner in the Tavern! The attention from the servers to our children was over the top. Stayed at the Equinox for s birthday weekend and had a lovely dinner with friends at the Marsh Tavern. The cheese plate was almost too filling but delicious nonetheless! Our meals were amazing and the drinks balanced out the evening wonderfully. If you happen to dine on a night when Billy is working, sit in his section - he made dinner so much fun and was an excellent server!!! Can’t wait to go back already! Restaurant was not prepared for a dining room full of people for the holiday. Would have expected better preparation. We were hoping for some Thanksgiving-themed menu items and our server did not mention that they had a turkey dinner available so we ordered other options. This was not on any menu, even though I called ahead and was told there would be additional offerings. Then the table next to us were offered a Thanksgiving dinner. Huge blunder from our server. Also had to ask 2-3 times for a glass of wine with the meal at which point the meal was halfway over. Service timing seemed just off in general. Prices were steep as well. Food was terrible. Service was lackluster. 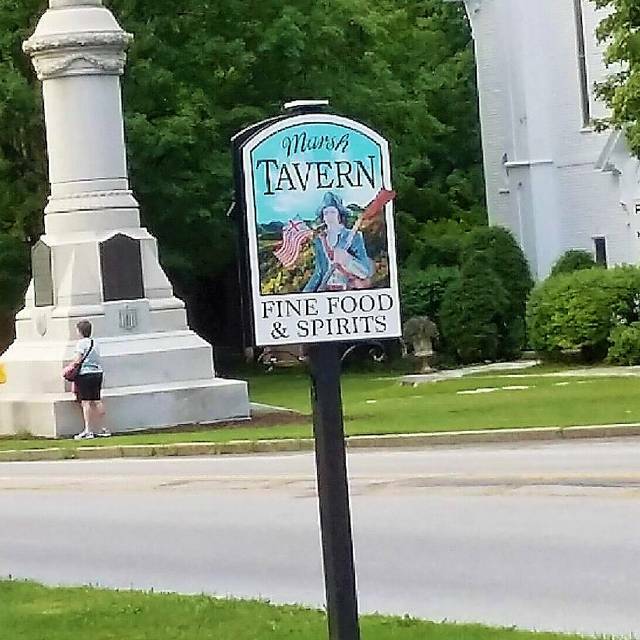 Eating at the Marsh Tavern is always a pleasure - excellent food, dependably prepared, friendly atmosphere, the best of Vermont dining. Came for honeymoon - not a great experience. Decent atmosphere but the food was just okay at best. We had a fantastic meal with great wine but what made even better was the service Kim provided, she offered great selections on the food choice and again with the wine. Will go back when we are next in the area. The dinner was great and the service by Ashley was fantastic. Ordered from the tavern menu as the choices from the dinner menu were not what I wanted. Ended up with the Shepard’s pie. We have dined here many times over the years. Live out of town and always looked forward to it. This time, the items were tasteless and lacked flavor quality. Next time we are in the area, this will not be on our “to do” list. Beautiful atmosphere, food and service!!! Good food, historic but not dusty atmosphere, excellent service. Nice day so ate on the veranda; very pleasant. Waitstaff attentive but not bothersome. A bit on the pricey style but I didn't mind paying extra for the atmosphere. We’ve had lunch here in the past and were well satisfied. Our recent dinner was a little disappointing. Service was adequate but the food didn’t evidence the care and attention we expected for the price and the location. There are several other good dining options in the area, so we probably won’t go back. Good menu variety, great service and an interesting outdoor dining experience on the front porch of the Equinox watching traffic go by on Main Street. 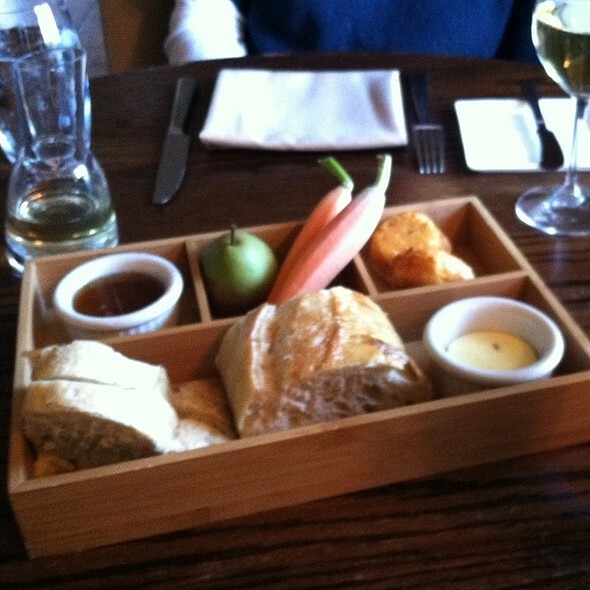 Loved the bread box with jalapeño jelly and three interesting kinds of bread. Sadly this made all of us too full to finish lunch so we took leftovers home! We really enjoyed Marsh Tavern. We were looking for a Restaurant that offered some lighter options instead of a heavy meal. The Pub menu offered a Fondue and a sampler board of assorted meats and cheeses. It was the perfect amount of food for 2 and after delicious desserts we were completely satisfied. When we told her it was our 49th anniversary, they comped one of the desserts! While The service was wonderful and the setting and decor pleasant, the food was disappointing. The charcuterie sampler was okay, but the special meatloaf disappointing. Outstanding food - cheese fondue and crab cakes, local beer and cider donuts with ice cream was outstanding. Laura our waitress was kind and very sweet recommending drinks and dishes and made the meal even more enjoyable! A great place to visit in Manchester.